Yes, I know it’s been a while. Many things have happened since the last time I posted; most significantly, I started a new job and I’m sorry to say I’ve let the blogs slide. I haven’t let the knitting slide though. Last year was an eventful year with regards to babies. I’ve had two friends give birth to boys and another three friends announce they were pregnant, with girls. Of course, I had to make something for them! 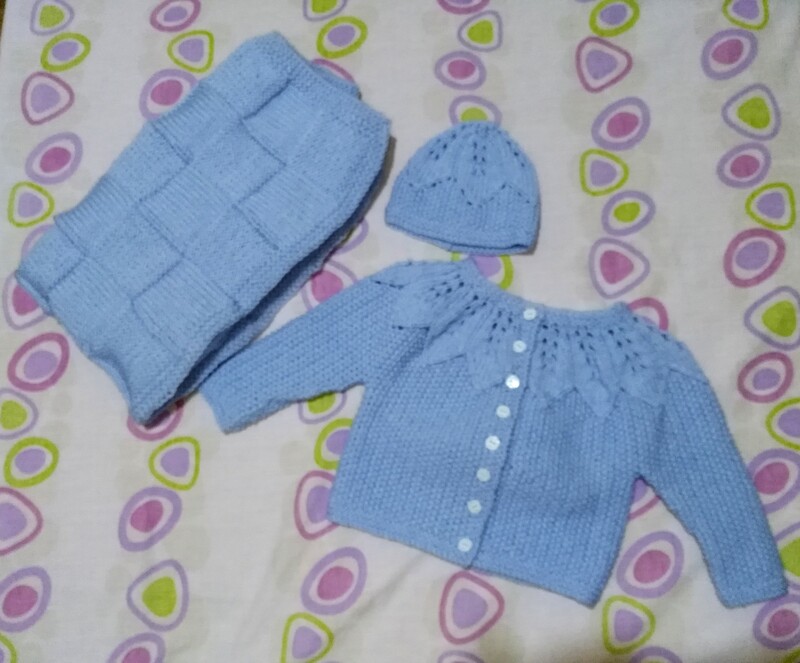 The wool I used was a baby blue aran from John Gregory’s Wool Shop, Msida (Malta). and I started knitting. To be fair, I was happy with the cardie and hat but I had quite a bit of wool left over so I ended up making a blanket as well. It’s another free pattern which you can find here. For the buttons, I’m always a bit disappointed with the choice we have at my local stores so I do tend to buy buttons online. I went on Ebay this time and found these really cute monkey buttons. I can’t even begin to describe how precious they are so just click here* and you can see them for yourself, as well as in the image below! Like I said above, this pattern was so easy to make overall and it’s sure to keep any baby warm and toasty. Let me know in the comments if you have ever made this pattern before or if you’re up for trying it out. If you do try it out, send me pictures. love hearing from you guys. Well, that’s it for Part 1 of this baby fever series. Will do my best to upload the other parts soon. * This is an affiliate link, so I will earn a small commission on any purchase you make.